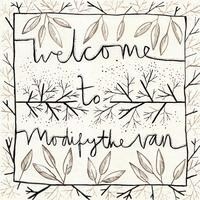 Released about two years ago, Welcome to Modifythevan is a great compilation that folk pop lovers will enjoy. Judging from the great roster this creative commons netlabel supports, you’re bound to enjoy something from this record. The label is owned by Robin Grey, who has been featured in our Frostclick blog for his other effort, I Love Leonard Cohen. Composed of several artists and their music; this special album takes 10 tracks from Ben Oliver, Blue Swerver, Johnny Berliner, Madelaine Hart and Richard Godwin, in addition to Grey. The album creates a beautiful mix of folk pop, melodic music you’ll love to have running on your player. Welcome to Modifythevan is the first compilation from the netlabel. Although it’s a mini label, the record definitely has a great roster of talent to showcase. Opening with You Aint Grievin’, the song features Madeleine Harts’ gorgeous raspy vocals. Hart has been influenced by artists like Nina Simone, Cat Power and Martha Wainwright. Her vocals bring in a beautiful touch of elegance to the song, making it a relaxing piece accompanied by the guitars. Meanwhile, characteristic of his wonderful acoustic folk rock, Robin Grey, impresses with Shakes and Shudders. If you ever need a soundtrack to your relaxing rainy days, then this is one track to consider. It’s a sweet and emotional single that’s perfect for a reflective mood. At The Movies by Blue Swerver is an emo/pop track with a slight tinge of jazz. Johnny Berliner and Richard Godwin also make an appearance in the record. Personally, I enjoyed this record. Being a fan of folk music, it was lovely to listen to such a pleasant compilation. The gorgeous guitars, mood, lyrics and instrument work are everywhere. Definitely something to love if you want to rest and relax.